SEO or Search engine optimization is a process used to improve your Chicago small business web site's ranking in search engines like Google. As a result of improved rankings, the site attracts a specific target audience and thus increases traffic to your website. Because SEO requires web development talent as well as web marketing talent, the vast majority of website designers simply do not and can not do SEO properly. The result, a website that may look good, but does very little to attract a target audience on the web. SEO Design Consulting provides cost effective SEO services for small business clients in the Chicago suburbs concentrating specifically in the SW Suburb for cities such as Orland Park or Naperville. With our organic search engine optimization techniques, your site can find its way to the top of the results from popular search engines. Not only do we ensure better rankings for your site, but we also increase your site's number of visitors by analyzing sites and optimizing for keywords. 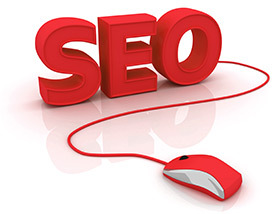 Search Engine Optimization or SEO, means building a website so that will be discovered by search engines. If you are a small business in the Chicago suburbs, it could mean the difference between success and failure. This means that each web page of the site needs to be developed in such a way that the site's content will be thoroughly mapped and indexed to keywords that potential customers use when seeking your products or services. Every day there are thousands of customers looking for products and services your Chicago company provides. We can help them find your website and not your competitors. How exactly does SEO get my company clients? A fundamental technique is to identify the target audience and to tailor the keyword strategy to appeal to that audience. It can be a general, nationwide, or even worldwide audience. The majority of web traffic is driven by the major commercial search engines Google, Yahoo!, and MSN. Search engines are always working towards improving their technology to venture into the web more deeply and return relevant search results to users. The most important component in any SEO campaign is key word strategy. This high-level strategy includes ongoing reporting and analysis for up to 10 keyword phrases, as well as monitoring how the search algorithm shifts on major engines affect a client's positioning for various keywords. Understanding the keywords you as well as your competitors are targeting is absolutely critical in moving forward. In addition to attracting visitors to the website, SEO Design Consulting guides the client in retaining visitors. Landing Page Optimization is the process of analyzing and modifying web pages, both graphically and content-wise, to improve the stickiness of the site. When a client deep links within your website, its critical that they find value there, that is clearly and concisely displayed. If you are a company that caters your products and services to the local market, we can help even more. Take a look how we affected the Naperville SEO market or the SEO Orland Park market and how we can do the same for your business. Let us help your company create web content which users find valuable and are willing to link to and share. Today, a great website acts as a virtual salesperson, that does the job of asking and answering the right business questions. Does your company provide local services? If it does how do you currently get clients? In order to provide even better search results, search engines like Google, Yahoo and Bing are focusing more and more on showcasing local companies in and around your city. We have the ability to make your site show higher up than your competitors. Time to get optimized! Everything started back in 2004 when we had the opportunity to work with Google, Fast Search and Transfer (later purchased by Microsoft and renamed Bing). Our organization was the first to get a peek at how page rank and optimization reflects on search engine result pages, and we have taken advantage of our opportunities ever since.